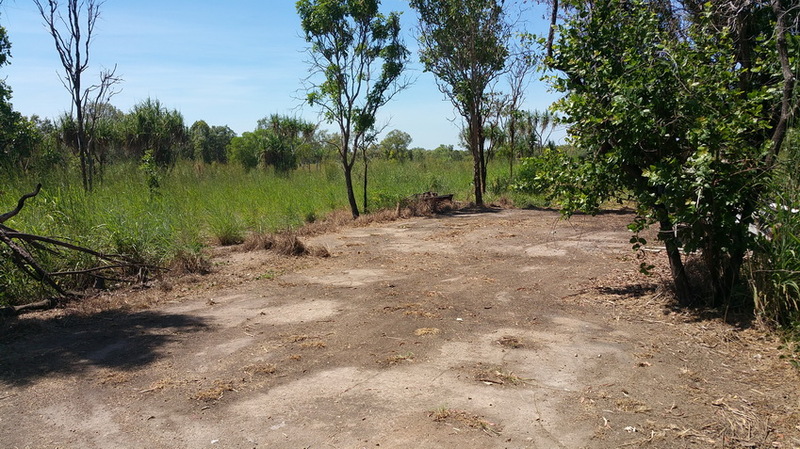 56.5 Mile was home to the HQ of the Royal Australia Engineers 12 Div Northern Territory Force. The RAE HQ originally occupied 57 Mile along with the 12 Div NT Force HQ, however they moved to 56.6 Mile in December of 1943 according to the war diaries. The site is located on the eastern side of the ridge and most foundations and tent terraces are located in wet weather positions. 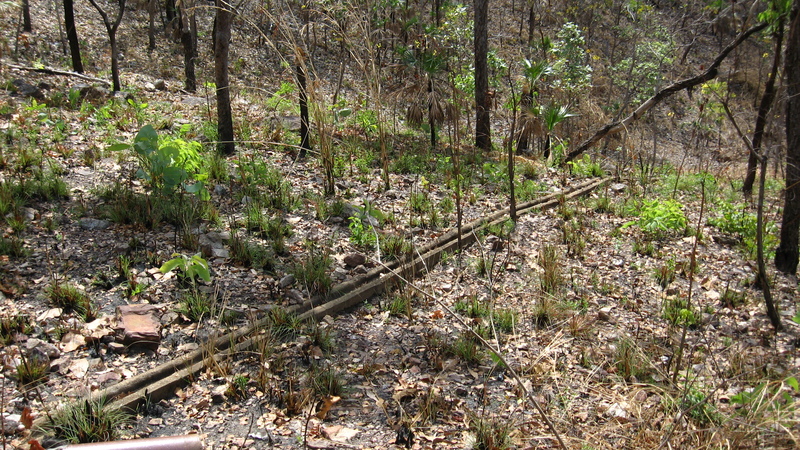 Extensive excavations of portions of the ridge exist at this site and roads have been constructed throughout the complex, with most being located on the slope of the ridge indicating that the engineers at this site must have been equipped with substantial earth moving equipment. 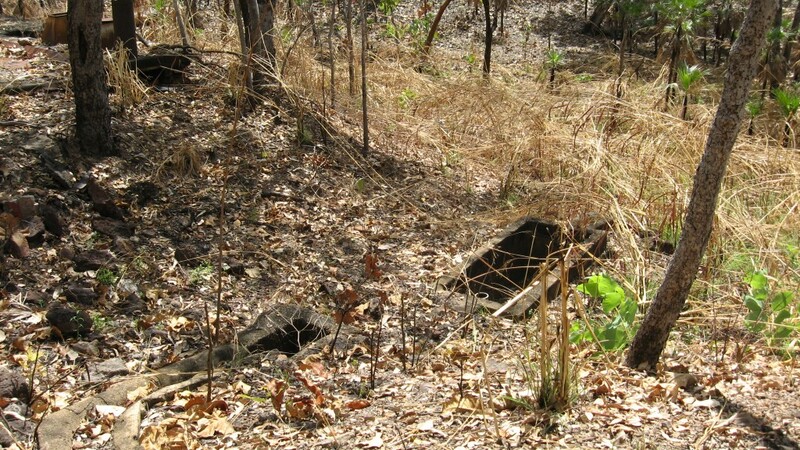 The site contains many concrete foundations, tent terraces, culverts, drains, septic units, slit trenches, generator pads, toilet and washing areas, cooking areas and hospital sites. 56 Mile was home to the 17th Field Ambulance (CMF) (colour patch at left) between April 1942 and November 1943. 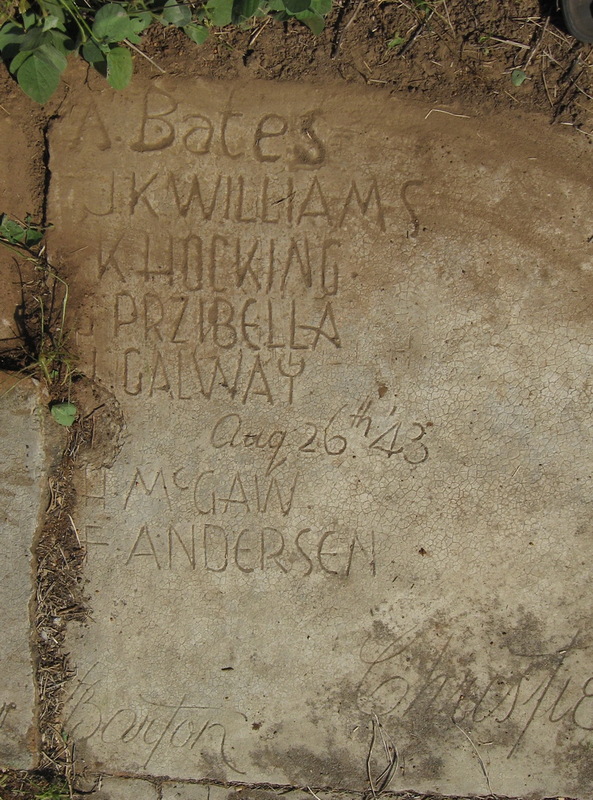 This unit appears to have constructed most of the building sites in the area of 56 Mile given names scrawled into concrete foundations on the Eastern side of their camp area. 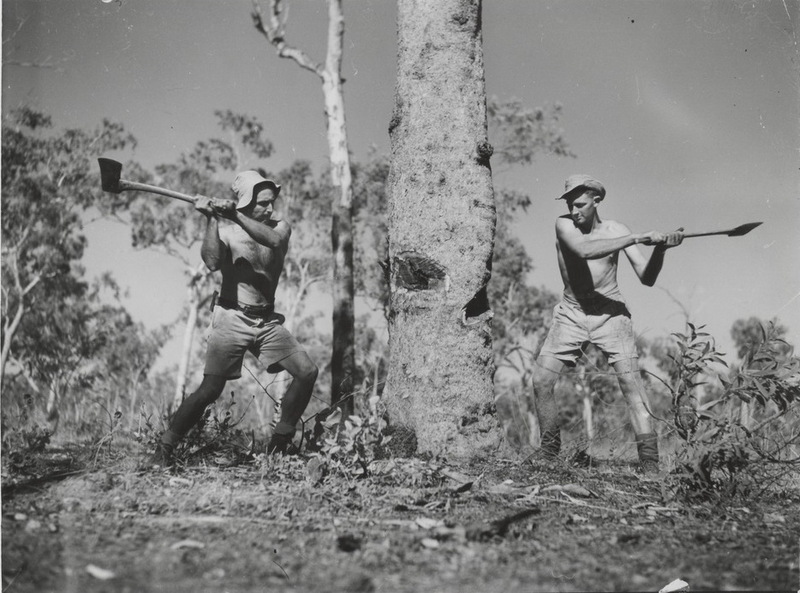 The 17th was replaced by the 12th Field Ambulance (AIF), sometime in November 1943. 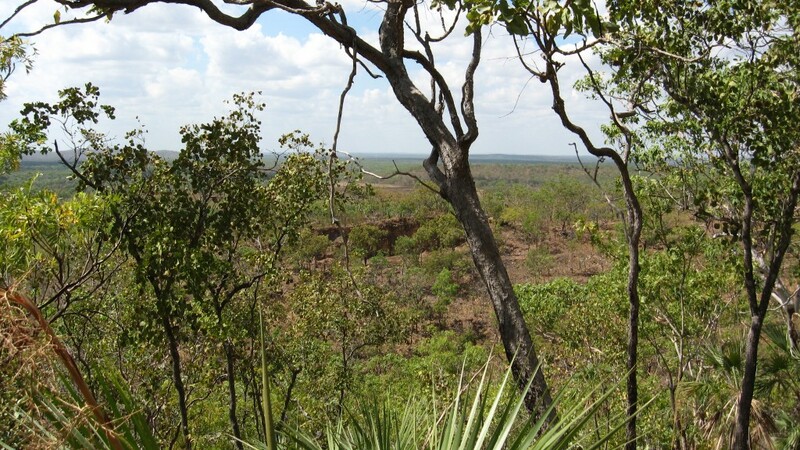 The site occupies both sides of the Stuart Highway and consists of both wet weather and dry season positions. A very large part of this camp almost certainly occupied flatter positions on the Eastern side of the highway as evidenced by multiple tent/building sites. 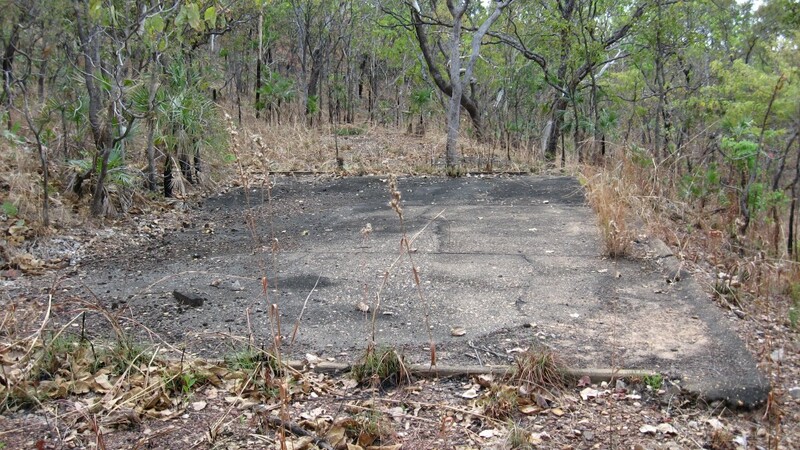 This site contains the remains of the 17th Field Ambulance’s cook house, named the “Christie Memorial Cookhouse”. *Special thanks to Peter Morton who has assisted me with access to sites in the area. Peter runs the Coomalie RV Park situated in and around 56 Mile. The park contains drive through powered and un-powered sites with easy access to Litchfield Park. 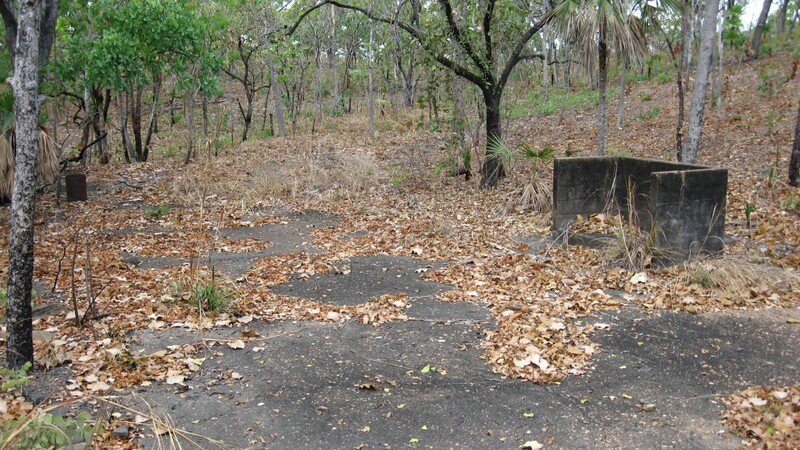 Located on his property is the remains of ww2 Army/RAAF farm that provided soldiers in the area with fresh produce. 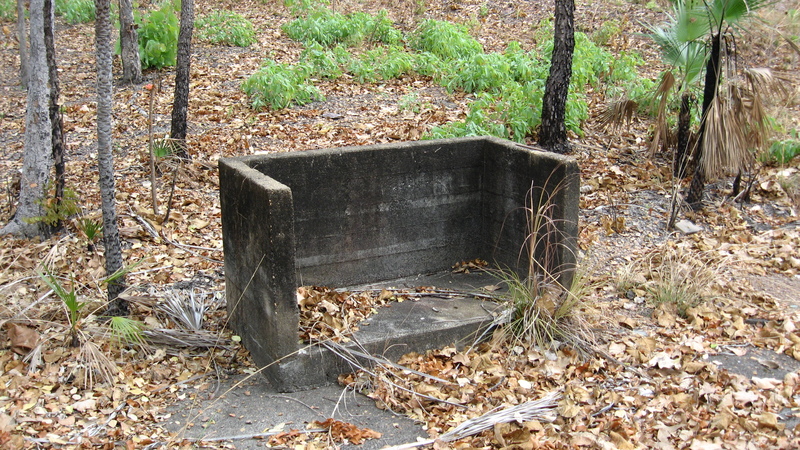 Army/RAAF Farm building foundation located in the Coomalie RV Park grounds. 2015. 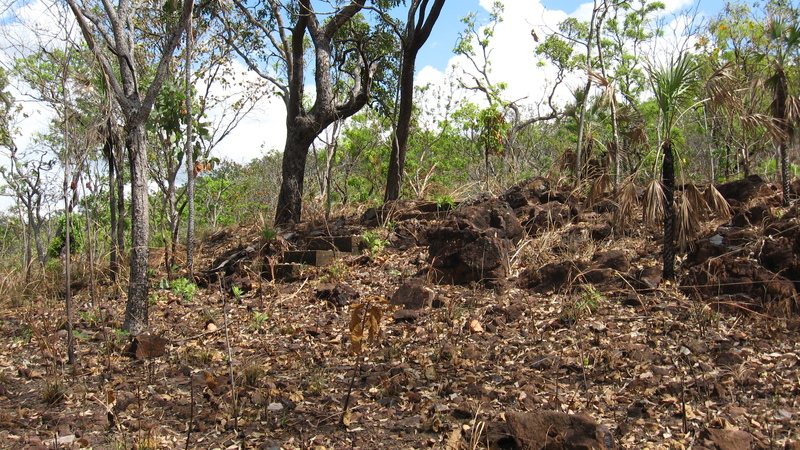 This picture shows part of a hill that has been excavated at 56.6 Mile. 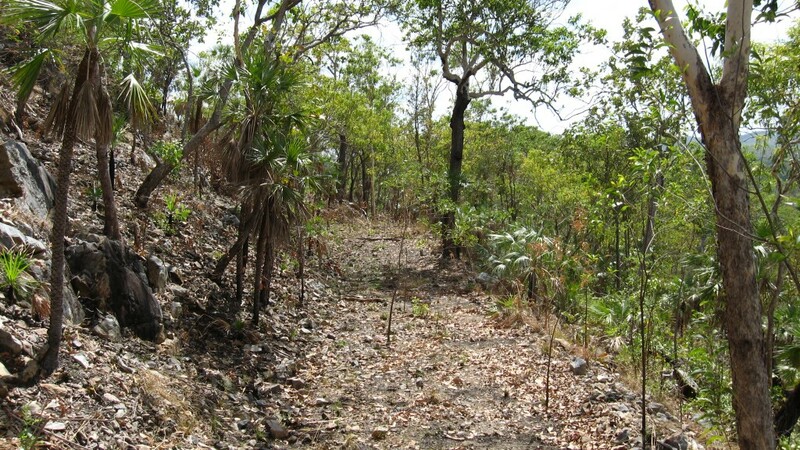 A road runs around in a loop from this location and follows the ridge line to the north. The road constructed by the RAE that winds its way along the ridge line. 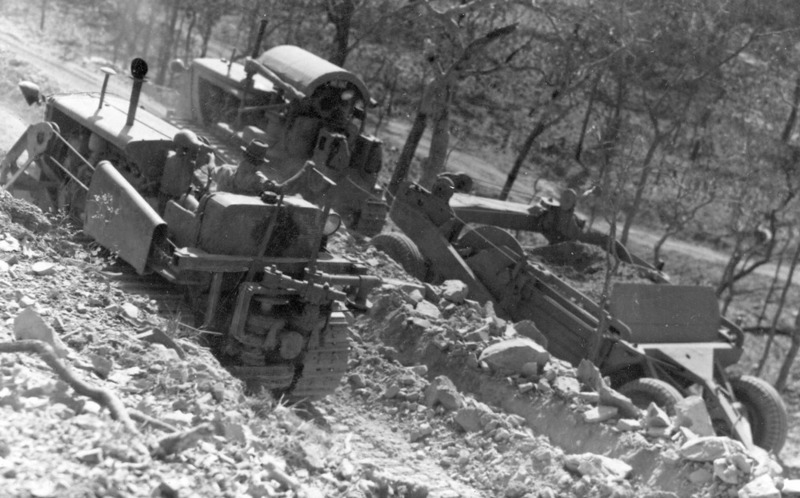 Bulldozers clearing roads through the harsh NT terrain. 1942. There are an abundance of concrete foundations at this site. Most are in relatively good condition, although some have started to break apart. A few have very extensive support structures such as stairs and drains. 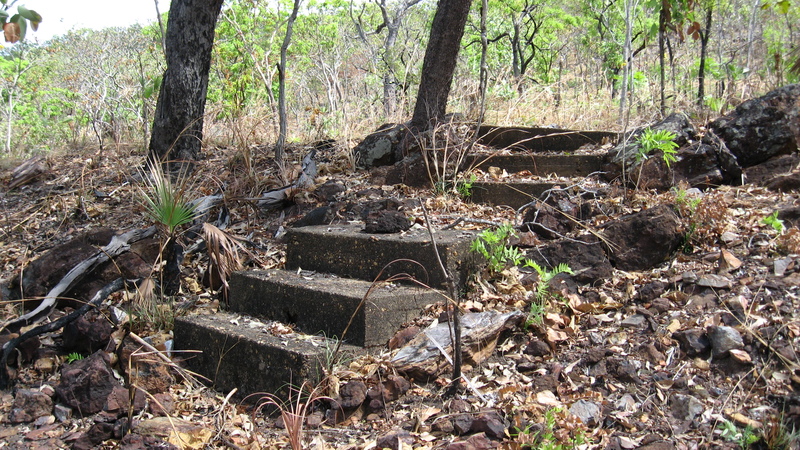 Stairs leading up to a concrete foundation at 56 Mile. These have been constructed from concrete and are extremely robust. They will likely be there for another 70 years due to the nature of their construction. Concrete foundation on the side of a gully at 56 Mile. It is believed that this structure once served as a cooking area at 56 Mile. The foundation it sits on is believed to be that of a medical building or hospital of the 17th and later 12th Field Ambulance units (CMF). Close up view of cooking area. 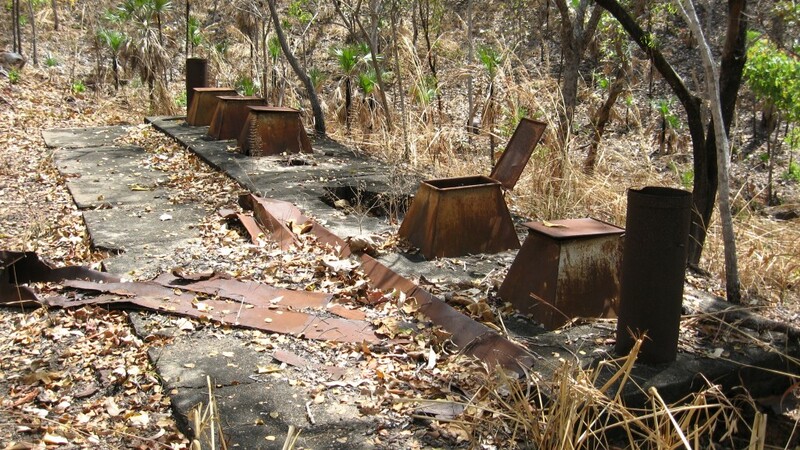 Other structures like this have been encountered in other camp site areas in the NT. Another cooking area constructed using red brick and concrete. The brick itself would probably have come from bombed out buildings in Darwin. 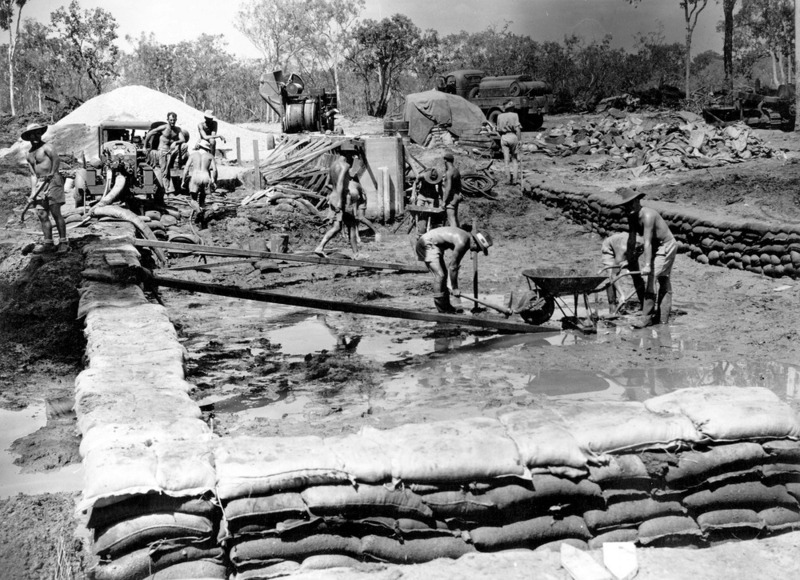 12 Div NT Force Engineers constructing the Howard Springs reservoir. The truck in background bears the water buffalo divisional sign on the tail gate. Very long drain running off into the gulley bellow. Septic unit and drain near a washing area. 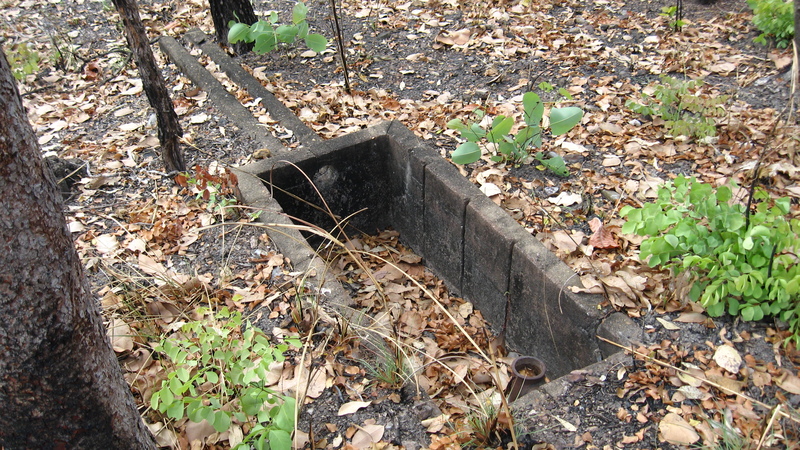 A drain that feeds into a septic through a tunnel. A line of ‘thunder boxes’ at 56 Mile. The toilets themselves sit on a concrete structure which contains a trough underneath to collect the waste. Two flues are located at either end of the structure. 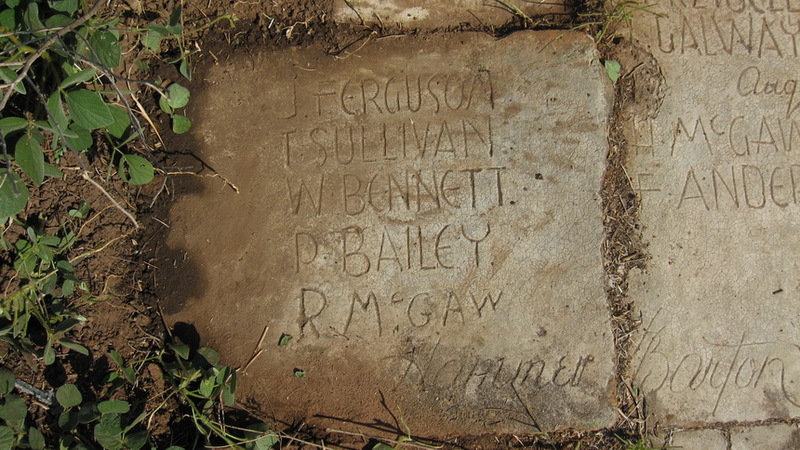 These are located at the northern edge of the site. Engineers from 12 Div, wearing ‘giggle hates’ cut down a local ironwood tree for construction material. 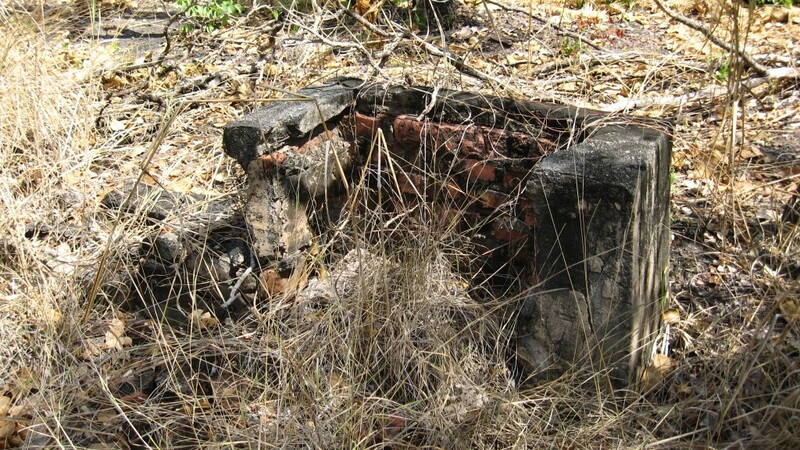 Iron wood made good building material for the supports of huts and tree stumps of this type of tree litter the extremities off all ww2 camp sites in the NT.